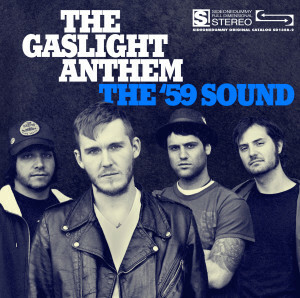 Sounds like a punked-up version of John Cougar Mellencamp. What this has to do with 1959, as referenced in the title, is anyone’s guess (mine is that it attempts to give this a retro credibility it doesn’t deserve). This is adequate, but no more. Hey, an old guy making a rock album. Get me out of here! This kind of lends support to the truism that rock and roll is a young person’s game. There are a few rock songwriters/performers who can successfully work into middle age and beyond (Lou Reed). Ray Davies, Elvis Costello, The Rolling Stones and so many others are not among those few. 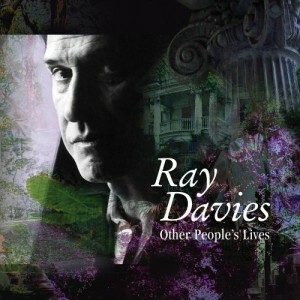 For those who don’t know, Davies was the principle songwriter of The Kinks, penning songs that had the trappings of rock counterculture but with lyrics that were surprisingly politically conservative, of a kind of right-leaning populism. His version of counterculture was passed by long ago and this pathetic batch of songs is dreadful. 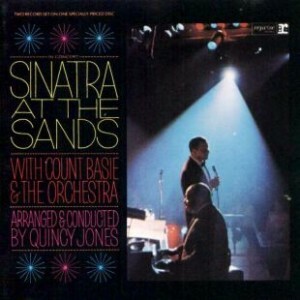 Sinatra with Count Basie, arranged by Quincy Jones — what’s not to like? Well, for starters, Sinatra was starting to sound a little sluggish in his vocals, and the Basie Orchestra was kind of an anachronism by the 1960s. This is music from Sinatra the institution, and as such lumbers along in adherence to a formula that leaves little room for spontaneity or individualism. The song selection pares away the more youthful love songs in favor of quite a few about longetivity and nostalgia. Still, even if this represents the artist past their prime, it still beats most of the lounge concert records that Broadway singers without any swing released in this era. Not a great one, but fans will get reasonable enjoyment from it. I went to a used book sale once where they had a bunch of old LPs for sale. Clearly, someone had donated what must have been the complete 1960s catalog of Robert Goulet, because there was a big pile of them. Since the price was right I picked one out that had the most interesting album cover (along with some non-Goulet picks like a surprising find in Symphony No. 3 (Gloria)). Anyway, taking In Person home and finally giving it a spin I couldn’t help but laugh. This has to be one of the most obnoxiously stupid live albums I’ve ever heard, complete with audience banter pointing out the most melodramatic elements of upcoming songs. So, this thing has kitsch value, but really nothing else going for it. 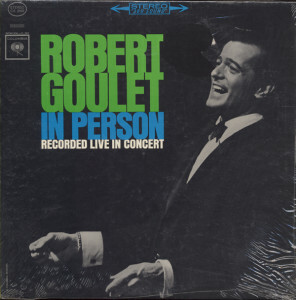 But then, it wouldn’t be Robert Goulet if it was any other way.